This is just a quick note to ask a little favor from you and all of your brilliant writers, directors and producers. If you could, please start treating Comics like books. I know this might come as a surprise to many of you, but comics are not just collections of pretty pictures of men and women in tights. They have stories, characters and depth. Well not all of them. Some of them are pretty bad, but like novels, there are good ones. There are some that are classic. 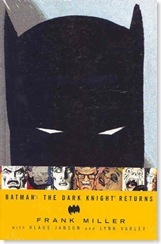 If you want to do a Batman film, may I suggest The Killing Joke, A Death in the Family, or even The Dark Knight Returns. All of them would make great movies. They are action packed and full of emotional touch tones. 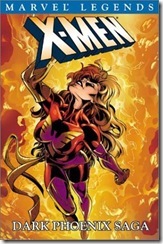 If you want to do another X-men film, why not try the Dark Phoenix Saga, it has superheroes, space battles and magic. I know what I am suggesting is radical. I know that none of you have ever thought about mining stories for sources of screenplays but they are there. Consider V for Vendetta, Sin City and the forthcoming Watchmen films, you found your stories there even though they do not have any big names. I really hope you can get over need to recreate beloved characters, telling stories about them that do not make sense at all. This is just a thought. You don't have to take my advice. I mean what are the odd you are going to make another film as bad as Spiderman 3, X-men 3, Batman Begins, Batman Forever, Batman & Robin... wow, I suppose it isn't that hard to make a really bad superhero flick. Give it a try. Justice League: A New Frontier and Superman: Doomsday both turned out pretty good. Maybe you should continue to follow that model.